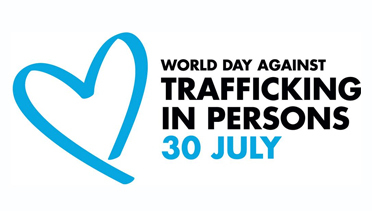 LAS VEGAS-- Join The Embracing Project Board Members, The Track Cast & Producers for a film screening to celebrate World Day Against Trafficking in Persons. ‘The Track’ a film that highlights the sexual exploitation of children will be screened held from 8:00 p.m. - 10:00 p.m.
Saturday July 30 at downtown coffee house, The Beat, located at 520 Fremont St.
“At its heart is a touching story of an unlikely friendship which also raises awareness about an unfortunate issue that exists on the dark side of Sin City” is how one critic described The Track, after the film featuring TEP Founder, Esther Brown and Board Member, Missy Yager, won the 2016 LVFF “Best Local Feature”. Since its establishment in 2007, The Embracing Project continues its mission to promote peace and global consciousness through the development of programs that enrich the lives of children, youth, and families. We are thrilled at the opportunity to be involved in a project that sheds light on the issues of Human Trafficking that an estimated 300,000 youth in the United States face each day. Admission is free and open to the public, however any charities or donations are welcome. For additional information regarding The Embracing Project, please visit their website at www.theembracingproject.org.